I’m a homeschooled student and am interested in participating in competitive moot court. Can I do that? Absolutely! HSLDA Academy’s Moot Court Intensive is built around the moot court problem developed by the National Christian Forensics and Communications Association (NCFCA). NCFCA offers students a chance to compete in a myriad of speech and debate activities at qualifying tournaments held across the country, and is the only homeschool forensics league that offers a competitive moot court program. 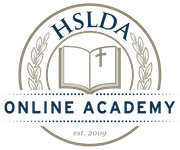 HSLDA Online Academy encourages all Intensive participants to affiliate with NCFCA. For more information about how your family can affiliate with NCFCA, click here. Please note that while NCFCA offers a number of organized speech and debate events to students who were 12 years of age or older on September 1, 2018, competitive moot court is limited to students who are at least 15 years old. Participation in HSLDA Online Academy’s Moot Court Intensive is not a requirement to participate in NCFCA moot court.